Who do I contact if I have podcast issues? What if I only want to podcast specific days? Is a smartphone required for playback? How do students find podcasts? How soon is the podcast available? Who can access my podcast? How long does my podcast stay on the server? Can a podcast be removed? Why don't I hear the movie audio? Why doesn't my screen record? What is required to create a podcast? Where should I clip the microphone? How do I get the start time just right? I go over the end of lecture - how can I record longer? What do the microphone lights mean? What if my voice is not loud enough over the room speakers? How do I know if the mic is working in a small classroom? Please note that while we do our best to capture and distribute podcasts, occasionally podcasts may not be recorded due to operator error, hardware failure, or circumstances beyond our control. Podcasts should never be treated as a replacement for attending lecture. A podcast is a series of recordings that you can download to a computer, smartphone, or any media player for later use. You can even automatically download new lectures as they are posted by subscribing within a podcast player app. Yes, there are no charges to faculty or students for podcasts. Whom do I contact if I have podcast issues? If there are specific class dates that you don't want podcast, please email edtech@ucsd.edu and they will stop the recording on that day. You can also leave the wireless microphone off and no audio will be recorded. If your course is scheduled in podcast-ready lecture hall or classroom, you can sign up for the Podcast service by signing the Podcasting Agreement. No. Most students will view podcasts using their web browser. Students can use any media player that supports podcasts, such as iTunes, to automatically download lectures to their computer, phone, or media devices. Usually within 5-10 minutes of the lecture ending. When you request podcasting, you may elect to limit access to students enrolled in the class. Podcasts not restricted thusly may be viewed by anyone who visits the Podcasting website. How long does my podcast remain available? The files will be available until the end of the quarter. You may elect to leave them online indefinitely on the Podcast Agreement. Can I request to have a podcast removed? Yes. Please send your request to edtech@ucsd.edu. In many classrooms, if you play a movie or audio clips through the Media Station during class, audio will not be recorded. Your podcast will have silent spaces where movie is being played. Why is my screen not recording? Most computers now support encrypted video, called HDCP, which prevents that video from being recorded. While many computers will only encrypt their outgoing video while you are showing copy-protected content (e.g. from iTunes, Netflix, or a DVD/Blu-Ray), many popular laptops and tablets will automatically encrypt video any time they connect to our systems. Since our projectors know how to display copy-protected video and can legally do so, you will not notice any difference while you are lecturing. However, our podcasting screen recorders respect DMCA law and are not able to record copy-protected video. This may result in the screencast recording a black screen during your lecture, or an outright failure of the screen recording system. If you are projecting from a Mac, iPhone / iPad, or Microsoft Surface and would like to screencast: Use a VGA adapter to project your lectures. This tells your computer that encrypted video is not supported. It will prevent you from playing copy-protected content, but it will allow normal content such as your lecture slides to be recorded. Ensure your class is scheduled in a podcast-ready lecture hall. To sign up for the Podcast service, please sign the Podcasting Agreement. View the Classroom Details for Podcast-Ready Rooms to see which rooms are podcast-ready, as well as to learn about other room attributes such as environment (windows, darkenability, ventilation) and available equipment. Additionally, the full list of podcast-ready classrooms and lecture halls can alert you to which rooms will incur a delay before podcasting can begin, as some podcast-ready rooms need some equipment installed before they can be used. Use the wireless microphone that is located inside the Media Station in order to be recorded. 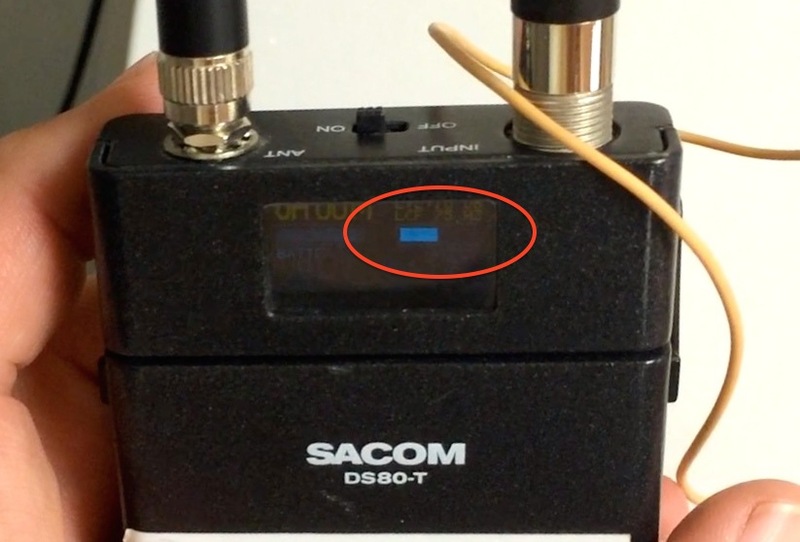 The wired microphone connected to the wall is not connected to the recording device. Many smaller classrooms have a permanently-wired ceiling microphone that is always recording. The audio quality from these microphones is significantly worse than lapel microphones, and cannot be disabled during conversations with students, but has the advantage that batteries never need to be changed. The Classroom Details Search Tool can help you determine which rooms have ceiling microphones and which rooms have lapel microphones, if you wish to schedule your class according to your preference. Clip the wireless microphone to your collar about 8 inches from your mouth. Try to clip it right in the center, and not to the side. You don't need to do do anything special. Just put on your microphone and transmitter as usual. Recording will start at the lecture's scheduled start time and stop at the scheduled end time. How do I get the start time right? Your podcast starts at the beginning of your scheduled lecture time regardless of when you turn the microphone on. The podcast start time will most closely match with your cell-phone time, not the clocks in the lecture halls (which are sometimes a few minutes off). The recording will stop at the end of your scheduled lecture time regardless of when you turn the yellow wireless microphone off. The Podcast Agreement allows you to schedule your recordings to last up to 5 minutes beyond the scheduled end of class. For a class where you have already submitted a podcasting agreement, contact edtech@ucsd.edu, and we can schedule future recordings to continue a few minutes longer. What do the lights on the microphone indicate? The light on the wireless microphone will be green when the battery is good and red when the battery is low. When the light is red, please feel free to change the battery. There are new batteries available inside the Media Station, and battery recycling on top of the Media Station. Please do not adjust the volume control on the wireless microphone. The volume level for the podcast is preset. If you feel your voice over the room speakers is not loud enough, please call the Media Services' Help Desk at 534‑5784 and we will send a technician. Many small classrooms do not have a voice amplification system. In those rooms, you should find an audio level meter, either on the microphone, media cabinet, or AV control panel, that will show how loud your voice is. Meter at rest; microphone turned off. The normal range (-20 to –3 db) is green. Zero is yellow. Peak and overload range is red. Microphones typically have a narrow band that shows how loud your voice is. As you talk, it should stay within the middle half of the band. Copyright ©2006-2019 Regents of the University of California. All rights reserved.